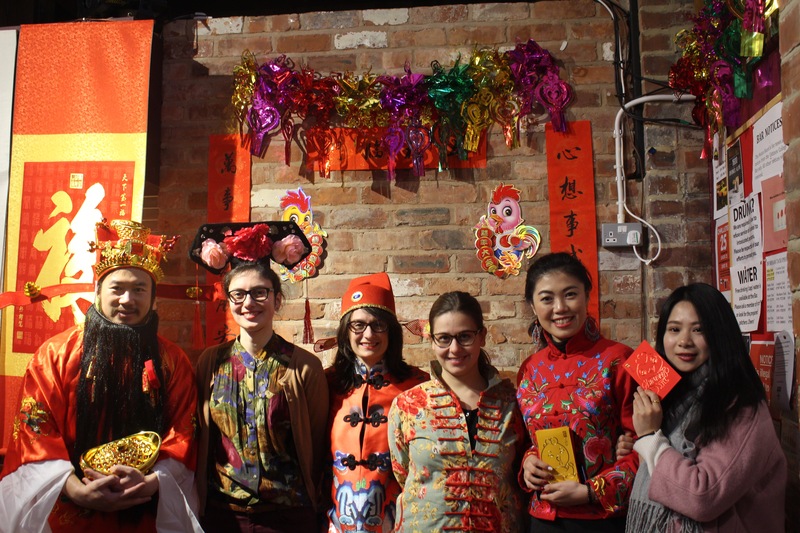 Red lanterns, paintings of Chinese landscapes, traditional red clothing, Fisher house in Ustinov college was filled with the bright hue on Friday, January 27th as students gathered to celebrate Chinese Spring Festival. 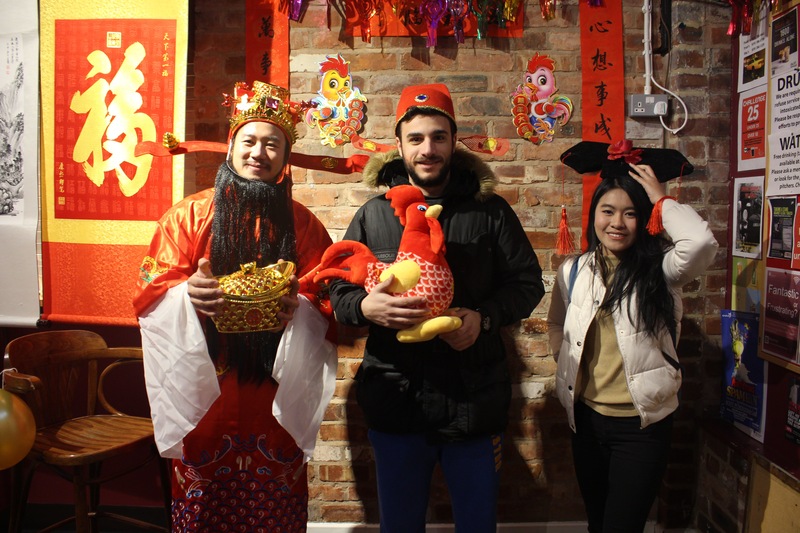 Edward McDougall from Durham Philosophy department opened the event with the presentation about the history and origin of Chinese New Year referring to philosophical aspects and hidden meanings of yin and yang. 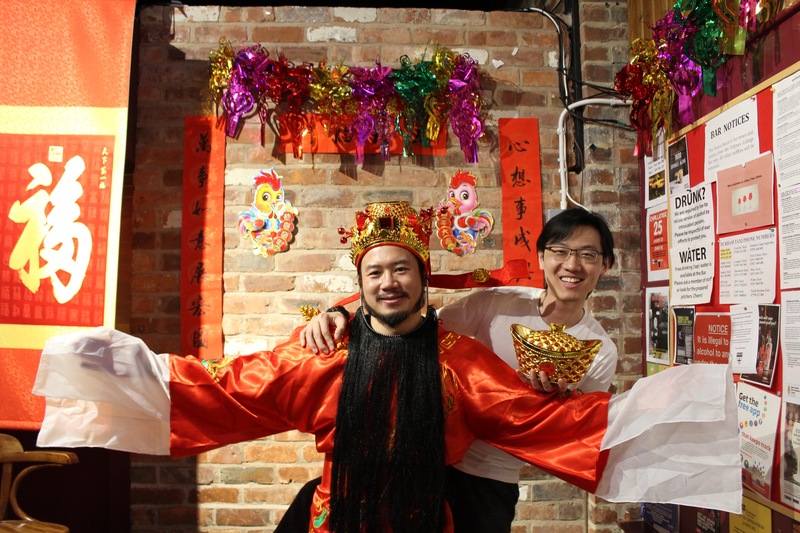 While watching the Chinese New Year Gala – the most popular four-hour long TV show – students participated in workshops organized by the Ustinov Intercultural Forum and Café des Arts. Paper cutting workshop demonstrated the art of cutting designs out of paper and gluing them on a transparent surface, usually windows and doors. Designs of fruits, plants and animals on each paper represent a wish for the new year, for example, a pine tree symbolizes eternal youth. 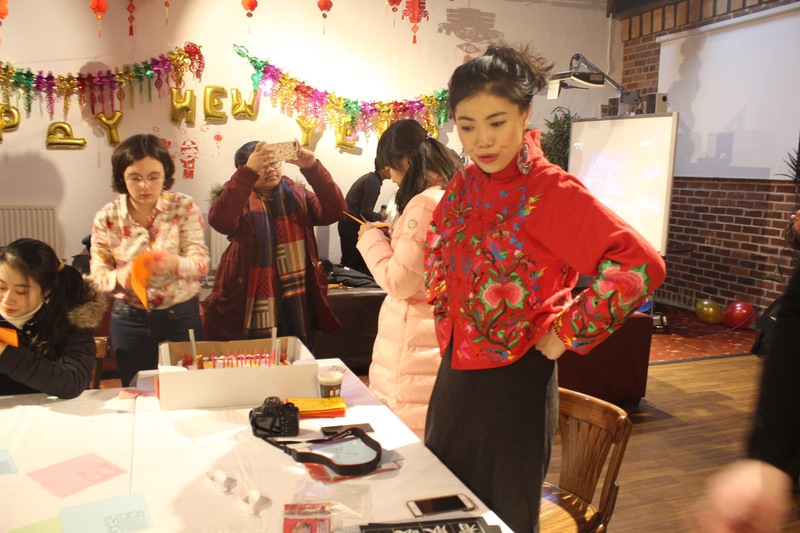 The paper-cutting workshop set the cheerful atmosphere and was followed by a challenging Calligraphy workshop. Participants were amazed by how much concentration is required to achieve a crisp stroke. 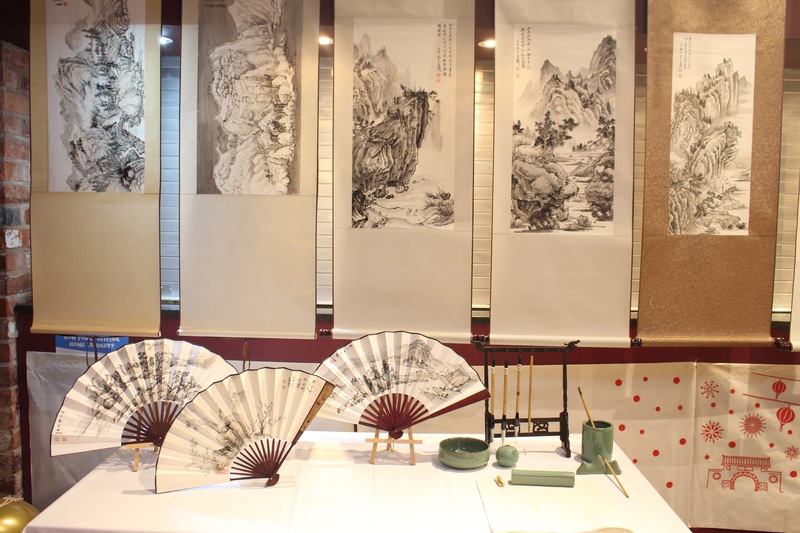 Indeed, Chinese calligraphy is not only about writing but expressing yourself in the most aesthetic sense. An egg painting workshop turned out the most exciting. Participants covered eggs with acrylic paints and came up with individual patterns and symbols for decoration. 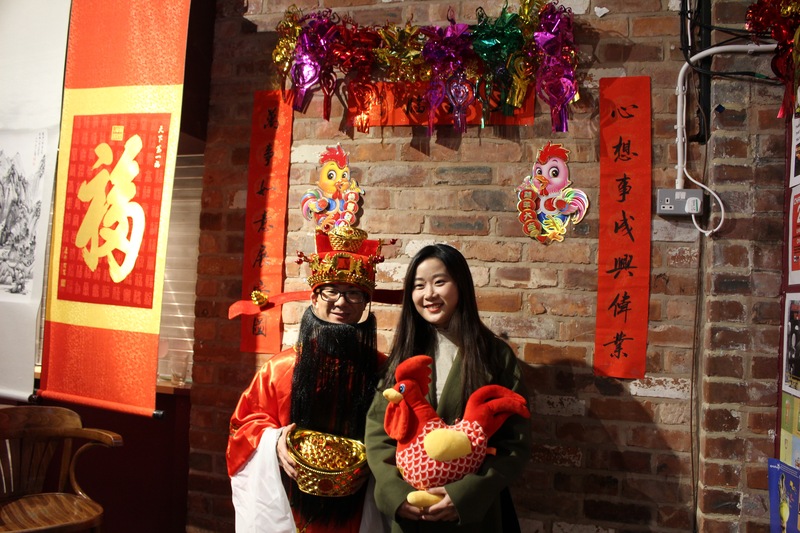 As the year of the Rooster arrived, envelopes containing cash were exchanged, which is a way to wish safety and good luck. 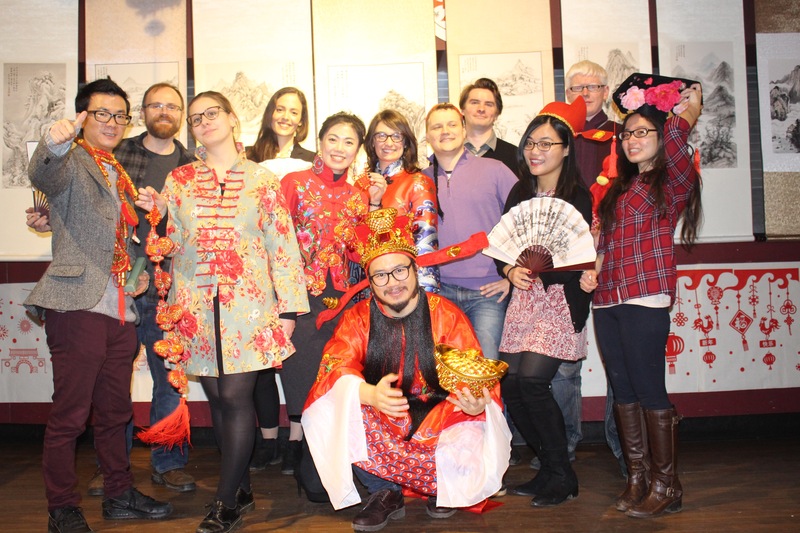 This festive event was a reminder of strong connections to our cultural values and at the same time the celebration of diversity of students’ experience in Durham.